One of the best things that Italy has, apart from its amazing history and art, is its food. 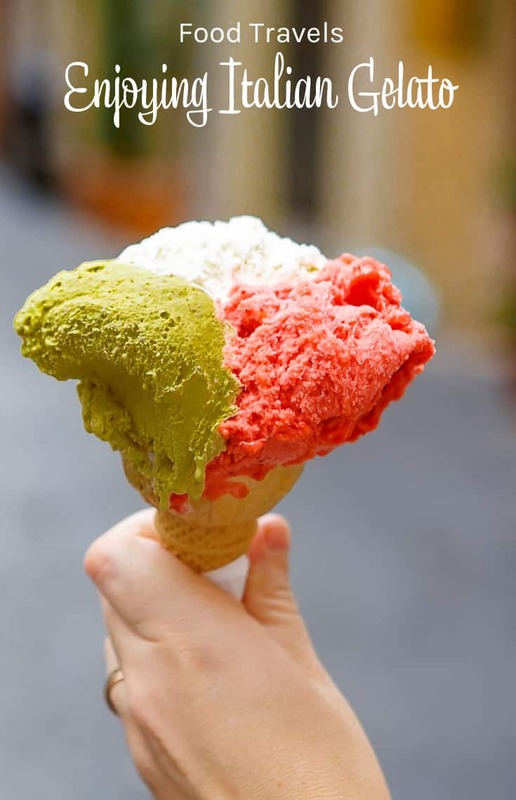 But with the summer and hot weather maybe you will prefer a break from pizza and pasta and instead make the most of the fantastic Italian gelato. Gelato (gelati in plural) is the Italian version of ice cream but, in fact, it has nothing to do with it. Gelato is completely handmade and produced daily in small quantities. Ice cream, meanwhile, is manufactured in large volumes to make it more affordable to transfer it and cooling it. Ice cream can have between 40% and 100% of its volume increased by air, while the gelato has a maximum of 10%. The less air the creamier is the consistency, so that’s why gelato is creamier and silkier to the palate. Traditional ice cream contains 10% to 18% fat. Commercial ice cream contains less fat, but it’s vegetable fat and not milk’s. The gelato, meanwhile, it just contains between 4% and 8% fat. Gelato, because it is made from milk, egg and very rarely cream, it doesn’t contain much fat to mask the taste and therefore it’s necessary that the fruit and other ingredients used are of high quality. This allows the use of natural ingredients instead of industrialized flavors. No doubt there’s something so good about the Italian gelato that once you have tried it there’s no turning back. Regular ice creams won’t definitely taste the same again. “Cioccolato”: meaning chocolate, you will see it in an endless number of variations. You can find it mixed with other complementary flavors, such as mint or orange, and there are also different kinds of chocolate even when it’s all by itself. Some of them are cioccolato fondente (dark chocolate), cioccolato al latte (milk cocholate), bacio (chocolate with hazelnuts), gianduia (milk chocolate with hazelnuts). Nuts: apart from being a popular ingredient in many of the chocolate flavors, they’re also stand-alone flavors as well. Some of the most popular are pistacchio, mandorla (almond), nocciola (hazelnut), castagna (chestnut), etc. Cream: this is also a very popular flavor, also ideal, to mix with other flavors. Among them, you can find fior di latte (sweet cream flavor), crema (a kind of egg custard flavor), zabaione (based on a dessert of the same name, made from egg yolks and sweet Marsala wine), cocco (coconut), caffè, etc. Fruits: these aren’t considered gelati but sorbetti, because they’re made without milk. Their flavor is so intense you will think you are eating a real piece of fruit. Some of the flavours you are likely to find are: fragola (strawberry), lampone (raspberry), limone (lemon), mandarino (mandarin orange), melone (melon), albicocca (apricot), fico (fig), frutti di bosco (fruits of the forest), mela (apple), pera (pear), pesca (peach), etc. You’ll also find regional and seasonal gelato specialties wherever you go, so you’ll probably find different flavors if you’re staying in Venice or in one in Rome. But don’t worry; you can take for granted that any of them will be delicious! Which one is your favorite? How about you? 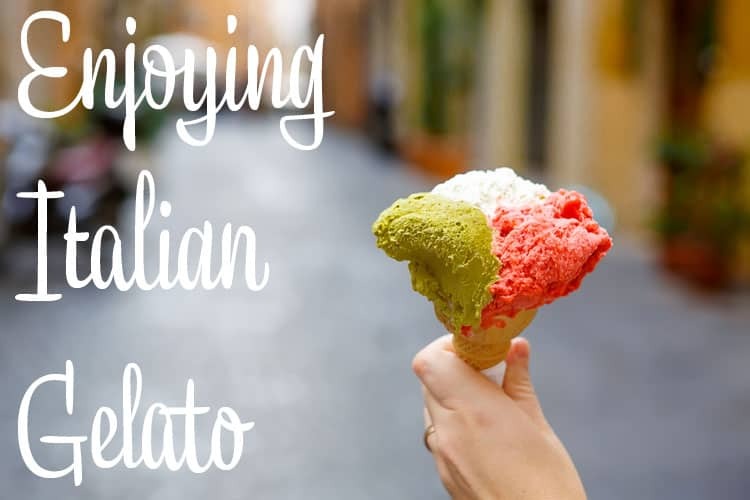 Have you ever had gelato in Italy? Is there anything better! I have to let my mom know about this – she loves Italy and loves low-fat. @Jennie, I was not aware of how low-fat it was either! My next travel goal is Italy! I am learning Italian and really want to go to Firenze, and all northern Italy for that matter! @Tiffany, you will love it! I was there in 2007 and am going back this October, it is a great goal and you won’t be disappointed! @Carolyn, ooohhh I have not tried that flavor, I’ll have to give it a shot when I am in Italy in October! I love gelati and didn’t know how much healthier it was! Thanks for the great info! I think I’ll make the switch more often and hopefully one day try it in Italy! @Erika, I wasn’t aware either, and now I definitely look for gelato more than ice cream when I am out and about! Yum- I am partial to sorbetti myself. One of my goals is to make it to Italy. I’d like to locate some of my family there. When I was younger, a teenager in fact- I have my own Gelato business for one day a week at a Farmers market. I sold it after I got married, but your pictures are making me so hungry. Thanks for sharing. My favourites are Tiramisu and Passion Fruit. @Nicole, what a fun and yummy job! I have always wanted to try this! I loved getting to see celebrity chef Giada DiLaurentiis go to Italy for authentic gelato. The Breyer’s store bought version is popular where I live but pretty expensive.